Dr. Firestone also provides recommendations for specific treatments shown by research to be effective in maintaining a therapeutic alliance with such patients. These include Cognitive-Behavioral Therapy for Suicide Prevention (CBT-SP), the Collaborative Assessment and Management of Suicidality (CAMS), Dialectic Behavior Therapy (DBT), and Attempted Suicide Short Intervention Program (ASSIP). 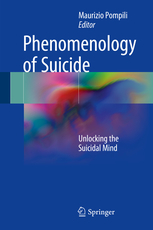 In summarizing the dimensions that characterize all of the above treatments, she cites Jobes’ and Ballard’s (2010) statement that “…a proper clinical engagement (in which a suicidal patient is effectively understood and appreciated) has the power to forge an extraordinary therapeutic bond that may prove to be lifesaving— a potentially important and memorable connection for both members of the clinical dyad” (p. 60).